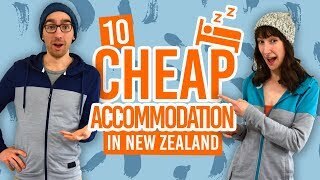 Getting around Palmerston North is cheap and easy! The city is well connected with bus routes and two taxi companies. You can even get commuter buses to the surrounding towns and the city of Wanganui. Whatever mode of public transport you decide to take in Palmerston North, it is always best to pay with cash to avoid credit card and EFTPOS fees. For public buses in Palmerston North (and Wanganui), fares are paid either in cash or with a GoCard (see below). Bus fares within Palmerston North are a flat fee for a single one-way ticket of NZ$2.50 or NZ$2 with a GoCard. You get one free transfer onto another city service within one hour of the original ticket purchase time, but this cannot be used for return journeys. So follow our guide to public transport in Palmerston North to see how to get around the city! The GoCard is a way of paying for Palmerston North’s (and Wanganui‘s) public transport without rummaging for change. More to the point, the GoCard gives you a discount. This card is only worth getting if you are planning on staying in Palmerston North and Wanganui a while, as you have to buy the card for NZ$12 and with NZ$5 pre-loaded travel credit. You can either top-up with a monthly fee, or with any credit amount over NZ$10. All you need to do with the prepay smart card is load it up with some money and swipe your way on the Palmerston North buses on the electric card readers. You can buy and load up your GoCard onboard the buses with cash or at the bus operators’ offices using cash or Eftpos. Bus operators offices in Palmerston North include: Tranzit Coachlines, Matipo Street. The i-SITE in Palmerston North also sell GoCards with the pre-loaded NZ$5 but you cannot top them up at the i-SITE. The Palmerston North bus network is the main form of public transport in Palmerston North taking you to/from the city and in between Palmerston North suburbs. There are also commuter bus services to the nearby towns and cities of Ashhurst, Fielding and Wanganui. (See section below). The main bus terminal in Palmerston North is on Main Street just outside The Square. “Outer Terminal” just refers to a bus stop where the bus will wait to make sure it is on schedule before continuing on the route of the following service, for example: when Bus 1 reaches the Outer Terminal it will stop and continue on the Bus 2 route. Remember, you will need to signal the driver if you are at one of the quiet stops. Press the bell before you arrive at your destination (or ask the driver to tell you when you reach your destination if you do not know). Take the Palmerston North to Fielding bus which has a dedicated stop at the airport terminal (see above). Supershuttle operates outside of the airport.